Ross Douthat has a column at the New York Times today which ponders the priestess of pop religion: Oprah Winfrey. The trailblazers included, among others, Iyanla Vanzant, a spiritual teacher of New Thought, a 19th-century movement with links to Christian Science that emphasizes the idea of God as “infinite intelligence” and the human capacity to think our way toward godlike power … Rob Bell, an erstwhile evangelical megachurch pastor who has reinvented himself as an itinerant preacher of the vaguest sort of Christianity … Elizabeth Gilbert, author of “Eat Pray Love,” the megaselling memoir about finding religious ecstasy in India (as well as great pasta in Italy and a hot romance in Bali) … Mark Nepo, the poet-philosopher author of “The Book of Awakening” and other tracts on the spirituality of the everyday … and of course Deepak Chopra, the aging prince of the New Age. I list these figures and their theologies because in all the thousands of words that the political press has written about Oprah since her Golden Globes speech on Sunday night invited 2020 presidential speculation, there has not been nearly enough focus on the most important aspect of Oprah’s public persona, the crucial and fascinating role she really occupies in American life. Given the absolute craziness of American culture, politics and religion, Oprah Winfrey as a candidate would not surprise me at all. In fact, if the American people really want to elect a billionaire, self made TV star in their four or eight year popularity contest, Oprah would have been a far more viable and likable candidate than Hilary Clinton. That doesn’t mean I like her or her wacky religion, but it would sure be interesting, and if Donald Trump, why not Oprah Winfrey, and if Oprah Winfrey why not well…most anybody? If anybody has capitalized on religion as the opium of the people it’s Oprah. Her touchy feely New Age religion pushes all the buttons: it’s sweet and sentimental. It’s non judgmental. It promises prosperity, happiness and peace. It is hugely popular. It makes no real demands. In short it is just about everything a false religion might ever aspire to be. 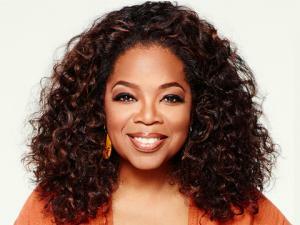 It is easy enough to joke about Oprah’s candidacy. Don’t. Just remember how easy it was to joke about the Donald. It could be that Oprah would cease to be a figure of the spiritual center the instant she assumed a partisan mantle, that in entering in the political fray she would automatically lose her papal tiara. Or it could be that her religious authority would make the Democratic Party far more popular and powerful, more a pan-racial party of the cultural center and less a party defined by its secular and anticlerical left wing. It could be that she would be extremely effective in the increasingly imperial role that our presidency plays, effectively uniting throne and altar and presiding over our divisions with a kind of spirituality-drenched “mass empathy,” to quote Business Insider’s Josh Barro, that our present partisans conspicuously lack. Or it could be that by turning the spiritual center to partisan ends she would hasten its collapse, heightening polarization and hustling us deeper into metaphysical civil war. All of these scenarios seem possible, even as the most plausible scenario remains the one where she decides being a prophetess is better than being a president and declines to run at all. But either way, the Oprah boomlet is a chance to recognize her real importance in our culture — and the sheer unpredictable weirdness, perhaps eclipsing even Donald Trump’s ascent, that might follow if our most important religious leader tries to lay claim to temporal power as well. Read Douthat’s whole column here.